This accessible retelling of HG Wells' 1895 novel comes with a pedigree so strong, it would get Best in Show at Crufts. The entire team, from performers to director and dramaturgy, are all central arteries of the beating heart of Scottish children's theatre (Andy Cannon, Shona Reppe, Rick Conte to name but three). So it comes as no surprise to find that the storytelling is crystal clear. 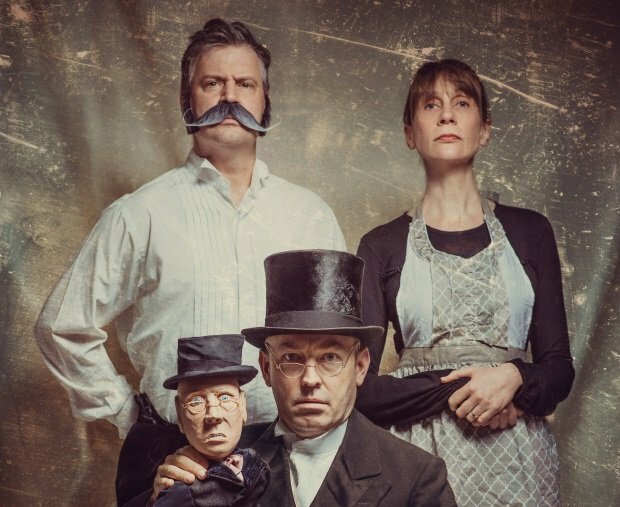 Wells' narrative is not without its complexities, but the Scientific Romance Theatre Company, as this crew is named, know how to simplify a tale without dumbing down. In fact, they could stand to lose the odd big word that might baffle an 8-year-old. Set in the Victorian era, an ambitious scientist heads off into the future in his brand new invention. Finding himself in 802,701, he meets Weena, one of the passive Eloi people (a character ripe for puppetry if ever there was one) and a scary subterranean Morlock, who likes nothing better for lunch than an Eloi sandwich. Despite the peril involved (the Time Traveller's machine is stolen – will he make it back home? ), there's no real sense of danger portrayed here. Which leaves the show enjoyable with the occasional laugh, but lacking adrenalin. Scottish Storytelling Centre, until 19 Aug (not 15), 2.30pm, £10 (£8). The Scientific Romance Theatre Company presents their version of HG Wells' sci-fi tale.